The story of Ciruttontar, the "Little Devotee", is a Tamil account of how resolute adherence to unconditional love and unyielding devotion to Siva leads to an experience of permanent, intimate union with God. Our central character, Parancoti of the Mamattirar clan, belongs to the varna, Ksatriyas, who lives according to his dharma, serving and protecting his king. This notion of Parancoti's adherence to his dharma is reiterated in the narrative's introduction. When the king finds out that Parancoti is a devotee of Siva, who has been exposed to battle, he asks for forgiveness, but Parancoti replies, "He had been simply doing his duty". The king sends Parancoti home with wealth and honours. Adhering to his Ksatriyas dharma, living unattached to sensory objects such as wealth and prestige (Manusmrti 1.88-91), he humbly concerns himself with feeding the Saiva devotees, eating only after they have first been fed. This humble devotion to feeding Saiva devotees earns Parancoti the name Ciruttontar, the "Little Devotee". Everything about Ciruttontar's life models the ideal dharmic life-devotion to duty. He marries Venkattunankai, who bears him a beautiful son, Ciralan, who by five years old, is already attending school. Ciruttontar embodies a proper dharmic life of the householder. This Tamil bhakti tale is about absolute love and fanatical devotion. Ciruttontar's unconditional sacrifice of daily service to Saiva devotees does not go unnoticed by the god, Siva. Ciruttontar's love is so devout that Siva recognizes it as having the "essence of truth". To relish Ciruttontar's excessive emotional "dish of love, Siva manifests himself in the human world as a Bhairava-an extreme Saiva ascetic who mimics Siva. The author, Cekkilar, presents his two main characters as polar opposites-Siva as a hungry god and Ciruttontar as the servant who is obsessed with feeding him. Siva arrives at the home of Ciruttontar suffering with an acute insatiable hunger. Ciruttontar, on this particular day, returns home in a state of emotional hopelessness at having found no devotees to feed. But, upon his return, he discovers there is an extremely hungry ascetic, whose appearance imitates Siva, waiting under the atti tree (considered the abode of Siva) at Siva's shrine of Kanapaticcaram. Ciruttontar is lifted from a emotional state of utter despair to the extreme emotion of joyous salvation at having found a Saiva devotee to feed. Bowing before the ascetic, Ciruttontar learns that this ascetic cannot be fed! An impossible deed the ascetic claims, yet Ciruttontar is unmoved in his resolve to feed the devotee, claiming no task is impossible when it concerns the devotees of Siva. The ascetic reiterates that the task is impossible, but Ciruttontar is adamant in his task to feed Siva. So, the ascetic requests a human five year old child who is unblemished and from a good family. Furthermore, the son must be slaughtered by the mother and father with joyous hearts! Cekkilar positions everything in extreme opposites, for there is no middle ground for this hungry god. The ascetic represents the impossible task of feeding God and Ciruttontar symbolizes the obsessive love and devotion of a devotee to attempt the impossible. Furthermore, the meal requested contradicts the householder's dharma. To slaughter a son who is necessary for the fulfillment of a householder's dharma and is yet another radical and daunting task, even for one so devoted and passionate as Ciruttontar. Yet, Ciruttontar is undaunted and quickly explains his joyous task to his wife, Venkattunankai. They both agree that they alone are equipped to fulfill such a task. Cekkilar illustrates, as both Ciruttontar and his wife prepare the boy for slaughter, all, including Ciralan, as the sacrificial son, are ecstatically joyous, laughing in supreme happiness at the task before them. Dharma is taken to the farthest extreme-Ciruttontar's total fixated devotion to Siva, Venkattunankai's absolute fidelity to her husband, and Ciralan's unconditional obedience to his father's desires. Cekkilar expresses this notion absolute loyalty most succinctly in the thoughts of Ciruttontar; "My great, incomparable son has given us the essence of truth". Venkattunankai too, expresses total obedience, "My husband has given me precious life." (Shulman p. 27). The son slaughtered , the house prepared with flowers and incense, Ciruttontar, having purified himself and filled with a joy and desire now greater than ever, approaches and treats the ascetic as a god by performing puja before him. However, the ascetic asks he be given all the curries, including the boy's head. Ciruttontar is dismayed for he thought the head inappropriate and had discarded it. But his frustration is quickly taken to elation because his maidservant has had the foresight to save the head and has made it into curry. Yet, the ascetic is still not ready to eat and requests that some guests join him in the feast. No one is near, thus Ciruttontar, who is fanatically focused on fulfilling his duty to feed the Saiva devotee, agrees to join the ascetic and prepares to eat the human prasada himself. Once again, the ascetic is still not satisfied and requests Ciruttontar's flawless son join them for the meal. This last request threatens Ciruttontar's single-hearted task of devotion to feed this devotee. He tells the ascetic his son cannot join them, but the ascetic is unmoved and insists Ciruttontar call his son. Both, Ciruttontar and Venkattunankai, who are now beyond reason and judgment, call out for slaughtered son to join them and out of nowhere, Ciralan appears feeding and nourishing Ciruttontar's and Venkattunankai's reborn emotion of absolute joy. The ascetic disappears and Ciruttontar, Venkattunankai and Ciralan realize the truth of this incident. All experience darsan at its fullest, basking in absolute communion with Siva, knowing they will never be separated from God again. Ciruttontar's fidelity to Siva exemplifies the fanatical devotion of the Nayanars. With Ciruttontar's puja offering of unconditional love and unyielding devotion to Siva, he receives the ultimate prasada-a permanent and intimate union with God. Hudson's article, "Violent and Fanatical Devotion Among the Nayanars: A Study in the Periya Puranam of Cekkilar", expands the theme of absolute devotion to God. Stories, such as Ciruttontar, demonstrate the Nayanars expanded cultic context of bhakti that the Bhagavad Gita leaves underdeveloped. Ciruttontar's tale exhibits a fanatical and violent display of bhakti-participation in the object of devotion and the corollary effects of absolute devotion to Siva for the householder. Hudson explains, from a human point of view, Ciruttontar's acts are murderous and cannibalistic, but because God transcends the order of things, divine actions cannot be evaluated in human moral categories (Hudson p. 375). Furthermore, when God enters into human reality, a problem occurs for devotees since they are compelled to act in a manner that often violates societal moral norms. The Nayanars believed that Siva does this to initiate the ideal nature of the devotee's love for Siva, and though often a fanatical and violent response ensues, Siva delights in devouring this emotional love of his devotees. Hudson examines these fanatical and violent acts of devotion in a context that is consistent with Tamil Hindu culture (Hudson p. 376). The Tamil word for love is anpu and can be used synonymously with bhakti, which in Tamil terms implies an intense incessant desire to perform acts of love for Siva, as demonstrated by Ciruttontar's fanatical daily sacrifice of feeding Saiva devotees. Ciruttontar's encounter with the extreme Saiva ascetic, a Bhairva, represents a cultic element of Agamic Saivism-a "slave of Siva" who wear the emblems of Siva-a crescent moon in his hair, a forehead mark of gleaming white ash, a necklace of brilliant crystal hides the dark stain on his through, the flayed skin of the elephant-demon, Gajasura, covers his body, draped in garlands and necklaces his left hand holds the trident and Brahma's skull, his right the tamarukam drum (Shulman p 21). Nayanars treat these slaves of Siva as manifestations of Siva himself. This explains why Ciruttontar is prepare to go to any lengths in order to feed the Bhairva (Hudson p.375). This also explains why Ciruttontar, after slaughtering his son, purifies himself and prepares his home with garlands and incense and performs puja to the ascetic. It is important to note that Ciruttontar's violent act of filicide is not done out of devotion to the ascetic, but from emotional attachment to Siva. Hudson explains that in the Bhagavad Gita, Krishna tells Arjuna to "attach your mind to Me" and Cekkilar in his tale of "the Little Devotee" shows us how. 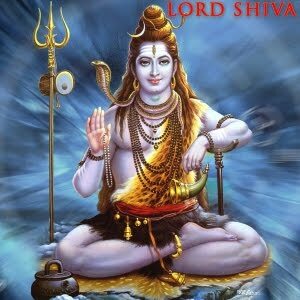 Ciruttontar's deed of filicide is explained by the notion of "love as participation in Siva". "Excessive rather than restrained love is the ideal". Ciruttontar's extreme act of slaughtering his son to feed the Saiva ascetic demonstrates the superior traits of the devotee's love (Hudson p. 381). Hudson explains, as the devotee's anpu matures there is a transubstantiation of the devotees nature which dissolves his attachments to others in society. This leads to a single-minded commitment of one's entire being to Siva, which, from an outward observation, appears to others as a psychotic infatuation (Hudson p. 382). Furthermore, Siva and Ciruttontar are linked (that is, Ciruttontar is attached to Siva and Siva is attached to Ciruttontar). Hudson suggests that anpu is the drug they both share in common and that the anpu is connected by flesh and blood. This notion is reiterated in the story's conclusion-Ciruttontar, by giving his own flesh and blood, that is his son, Ciralan, in an act of love and devotion to feed Siva; Siva responds in anpu and Ciruttontar experiences darsan with Siva (Hudson p. 383). Shulman's book, "The Hungry God: Hindu Tales of Filicide and Devotion" focuses on the theme of hunger, feeding and eating. At first glance, the stories Ciruttontar and the Jewish patriarch, Abraham seem very much alike-both are asked by God to sacrifice their sons. However, Shulman shows, whereas the Jewish God is testing Abraham's loyalty and worthiness of man, Siva has a different purpose. Shulman explores the motivations of both Ciruttontar and Siva and why they join forces in the obsessive matter of food and feeding. Ciruttontar's tale is a passionate story of love. Unlike Yoga ideology, which seeks to transcend the realm of senses and emotions, Tamil bhakti seeks to embody the passions to heighten the connection between god and human. Shulman asserts for love to be real, it cannot be tasted ethereally, it must be lived in a sensory and emotional experience. This is the nature of the Tamil universe-that the god and human connection must be a fanatical one. Siva hungers to savour Ciruttontar's love, so much so that he leaves the outer divine sphere to the inner world of Ciruttontar's household. Ciruttontar's fanatical devotion to feed Saiva devotees coincides perfectly with Siva's need as an all-devouring Absolute. Siva, who playfully refuses to eat, teases out Ciruttontar's demonstration of anpu-to taste a feast of fanatical devotion (Shulman p.37). Siva desires to leave the outer ethereal realm and enter the inner human world of sensual and emotional intensity to feed his active hunger for human love (Shulman p. 40). Complimenting Shiva's motivations is Ciruttontar's need to feed him. "Love (anpu) is both a goal and a means". Shulman explains that Ciruttontar's love conquers god through the bhakti relationship where the devotee, by offering love, reaches a state of power and autonomy over the god he serves-"the giver of love enjoys a meaningful advantage over the recipient" (Shulman p. 41). Puja is a powerful means of accomplishing this goal. This notion gives us insight into why Ciruttontar's frustration with feeding Siva is far more compelling than the slaughter of his own son. Ontic and psychological boundaries are crossed resulting in a sudden revelation through possession and god manifests and takes control of the human self. But the moment is short-lived and the deity vanishes leaving the human self hungry for the absent lover. Thus Ciruttontar's passion to feed Siva is fueled by the god's hunger and his craving for absorption within the elusive deity. Shulman describes this duality as eating and being eaten-taking the other into ourselves and ourselves being consumed (Shulman p. 42). By taking on the burden of god's need and pain and offering what he loves most, his slaughtered son as puja, Ciruttontar experiences an explicit revelation when the ascetic and food disappears, and he and his family are transformed, consumed by Siva never to be parted. Conversely, Siva, too, has been satisfied, full on the taste of human love. Hudson, Dennis. 1989. Violent and fanatical devotion among the Nayanmars: a study in the Periya puranam of Cekkilar. In A. Hiltebeitel (ed.) Criminal gods and demon devotees: Essays on the guardians of popular Hinduism. Albany: SUNY Press. 374-404. Shulman, David. 1993. The Hungry God. Hindu Tales of Filicide and Devotion. Chicago and London: University of Chicago Press. 18-47.